We're a full service locally-owned florist dedicated to fulfilling our customers needs. We continually maintain a great variety of fresh flowers. Each arrangement is artistically designed for that special someone. 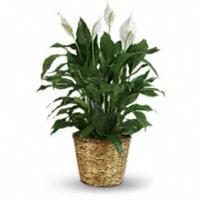 At Flowers Plus, we personally select our green and blooming plants for finest quality. We also carry a great line of plush animals, gifts and unique containers and accessories. We are located Northwest of Minneapolis/St. Paul, servicing the entire metropolitan area along with a worldwide delivery network.